Spring is truly flying by. Everything in central Missouri is weeks ahead of schedule. The cowdogdays12 weekend was hot, dry, dusty…and fun! Monday was absolutely beautiful. It was 10+ degrees cooler, the wind was out of the NW and the grass was just waving in the wind…like waves on the ocean. The air was so much cooler! 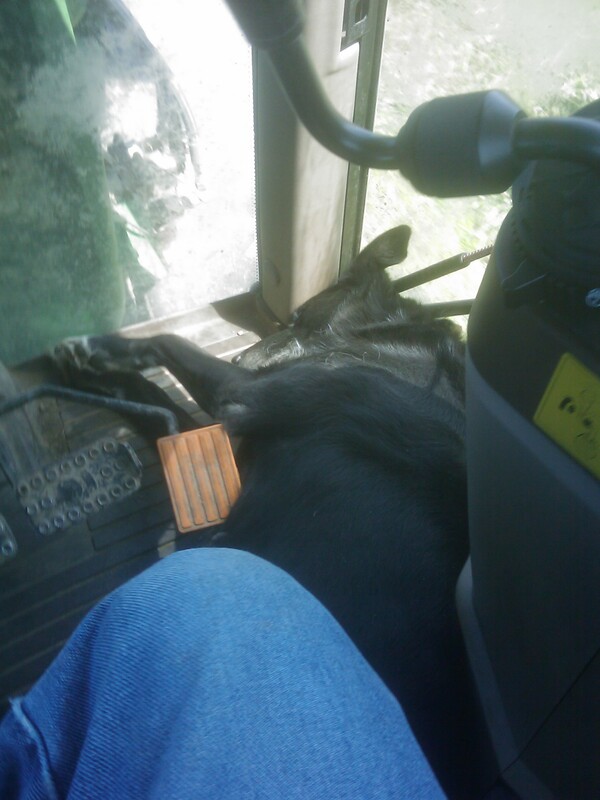 We made it around to check cows, put out mineral, put the machine shcd back in order and pulled out the haying equipment. There is going to be a hay crop this year, maybe a bit short, but at least there is something to mow this year. I am so thankful for something to hay. In a day or so, it is to be back to record hot and it is definitely dry and we need some rain. 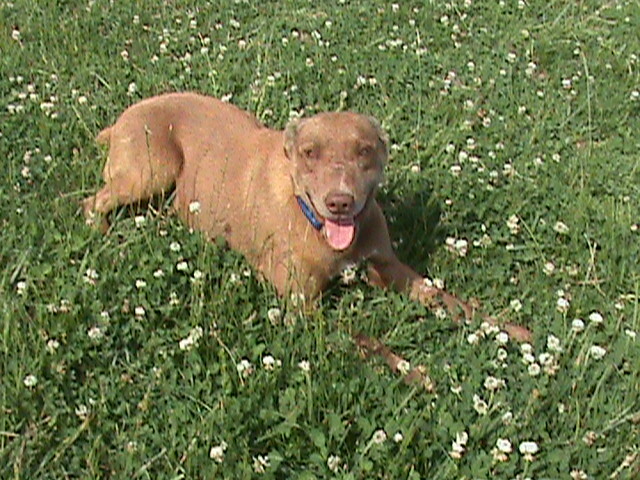 But, I am going to get after the hay while it is hanging on to some green. 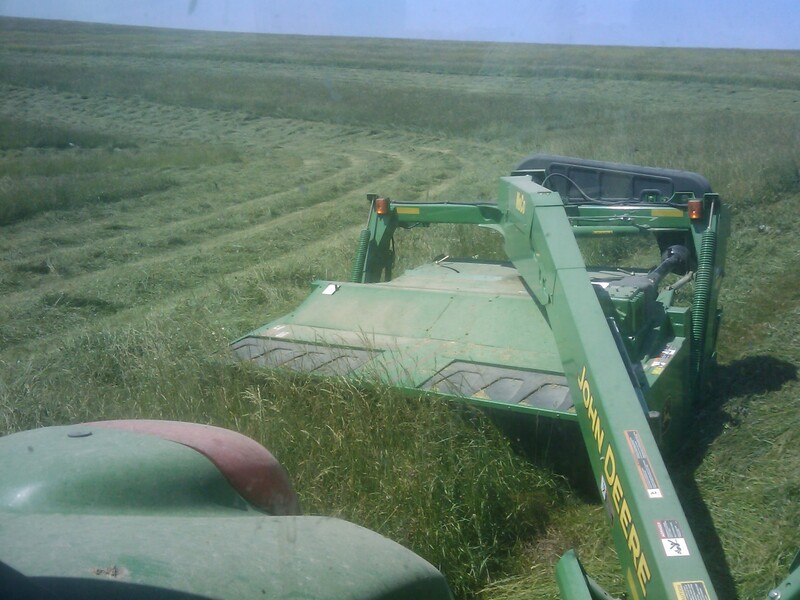 3 weeks or so of haying…then maybe a cooler July! We hope! An amazing Monday. Cool, NW wind. Pasture grasses ahead of schedule and softly, rolling and waving from NW to SE like waves on an ocean. 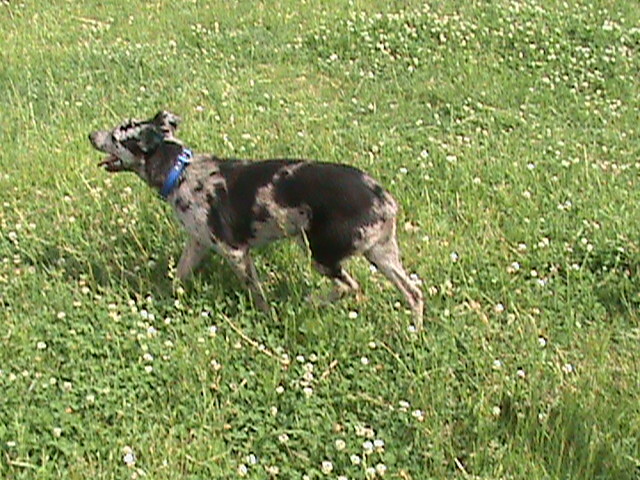 Tues. off to cut grass to make hay. 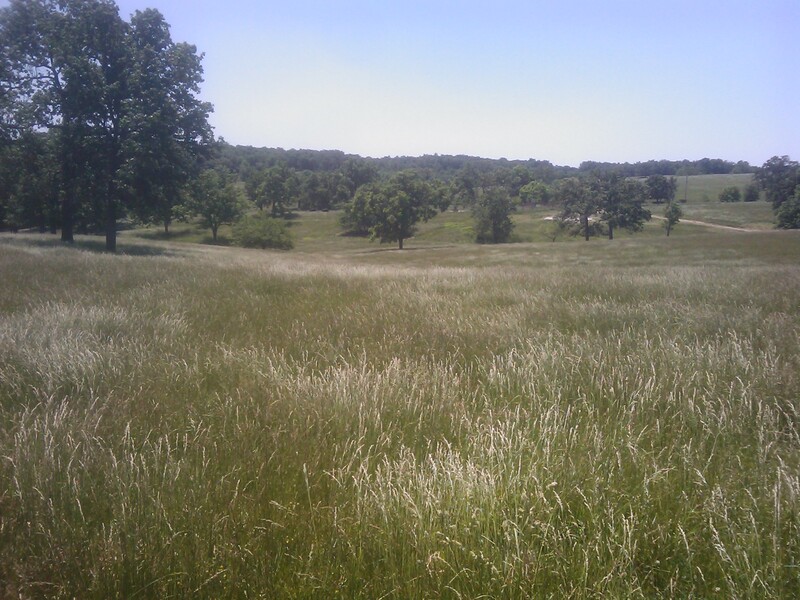 Orchard grass, brome, timothy, red clover, white clover and big blue stem mix. And Miss Hawk to keep me company. Miss Hawk totally sacked out. 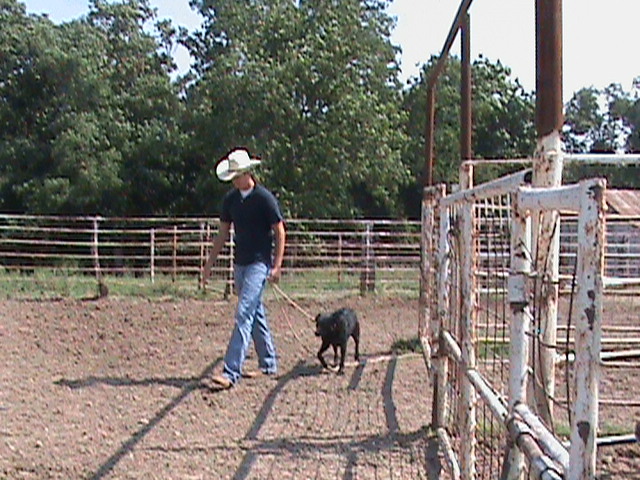 Day #2 of cowdogdays12 involved introducing the cowdogs to their new owners. We discussed the do’s & don’ts of how to approach each other. 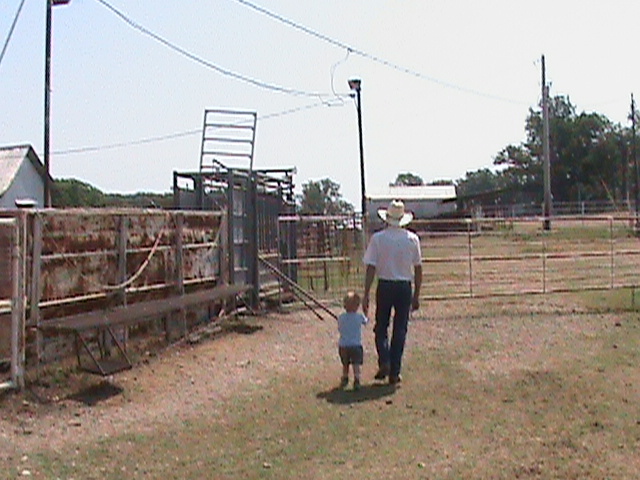 Once everyone was paired up we headed off to do some walk-abouts in and around the corrals. The balance of the day was spent doing some basic work in the pens. Despite the heat, wind and dust we all had a good time. Another cowdogdays is in the books at Tammy’s Cowdogs! People from ten states were involved in this year’s sale. Thank you to everyone that participated in the sale – either in person or by phone. The day was hot. The day was fun. The first day of cowdogdays12 went very well. 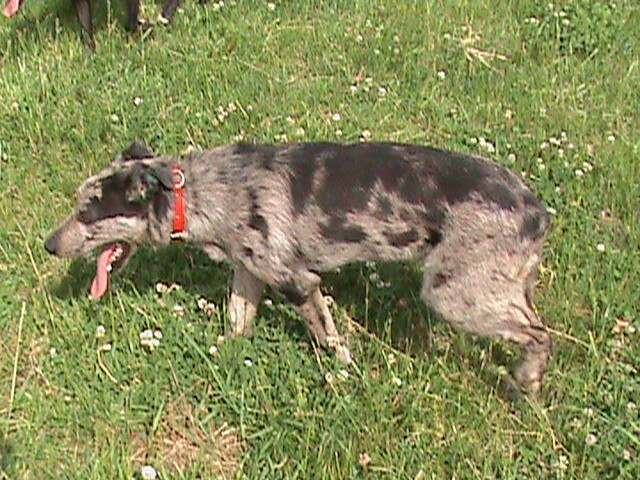 To begin the afternoon, I used some of my Hangin’ Tree cowdogs to demonstrate how my cowdogs run the cattle operation. We gathered yearling bulls, some coming 2-year old bred heifers and some yearling replacement heifers. 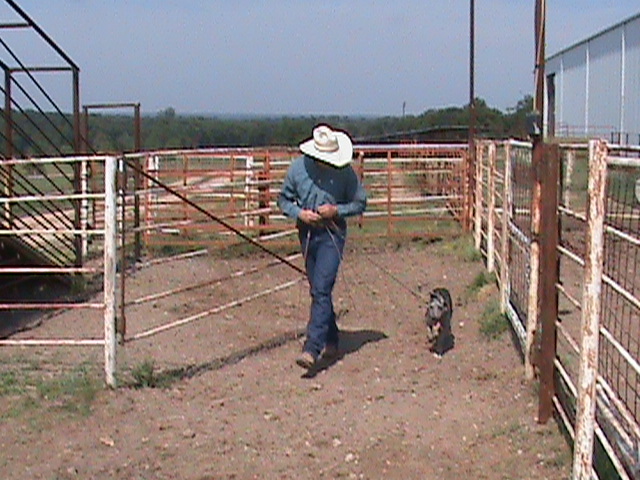 The cowdogs gathered cattle and brought them to the corrals. 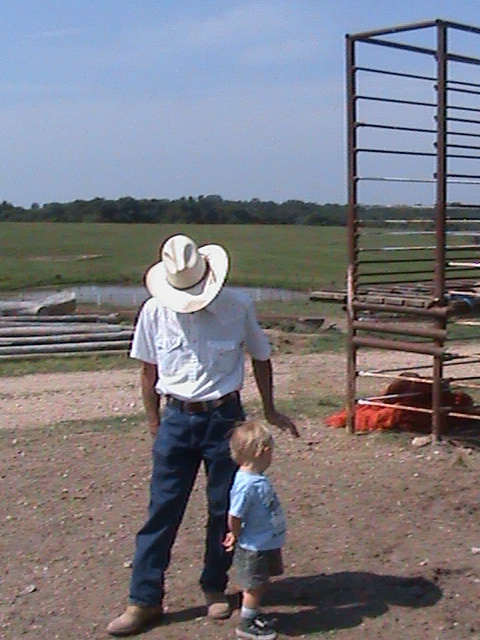 At the corrals, we did some sorting work, loading chute alleys and retrieving breakaway cattle. 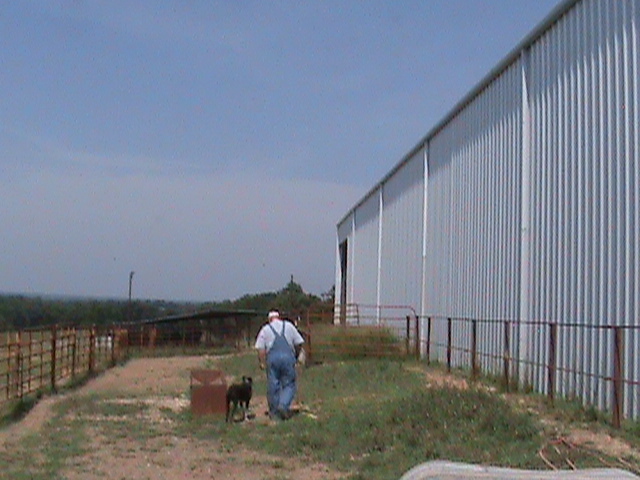 The sale cowdogs were then used to gather cattle and work the pens and alleys. 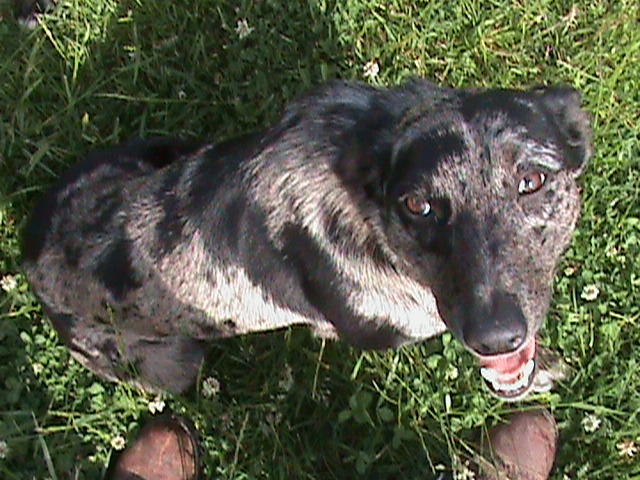 The high selling cowdog was Huck, a 2-year old son of Bert & Hawk, selling for $5,600. Second high selling cowdog was Toby, a 2.5 year old son of Bert’s sister Jewel, selling for $4,000 The high selling yearling cowdog was Libby, a grand-daughter of Bert & Hawk, selling for $2,100. High selling started pup was Eli, six months old and selling for $1,900. 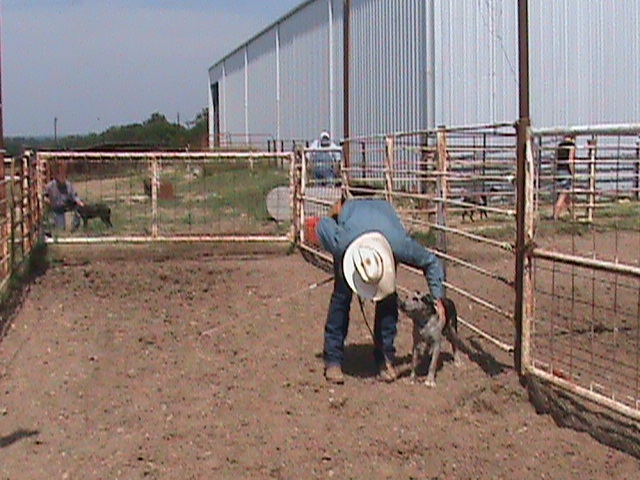 Day #2 of cowdogdays12 will be dedicated to the new cowdog owners. Jefferson City lodging appears to be slim to none for the weekend. It is the end of the legislative session and most places are booked. If you are coming to central Missouri from the SW…Springfield, MO is about 2.5-3.0 hrs. from me…Osage Beach is about 45 minutes away. From the W…Sedalia is about an hour+. From the N…Columbia is about an hour+. From the SE…Rolla is about an hour+. From the E…Union is around 90+ miles. 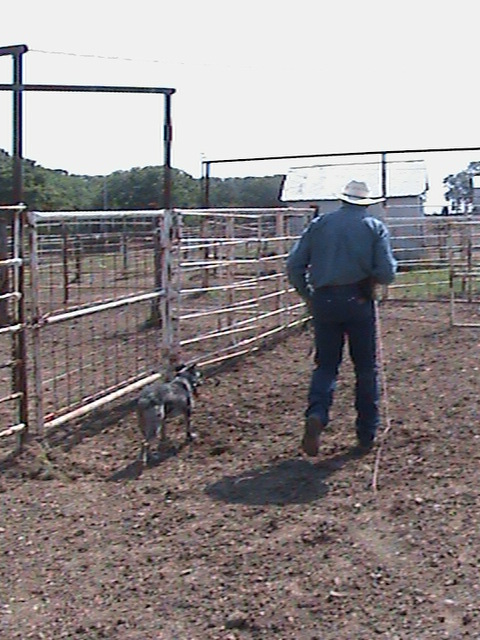 The cowdog demonstrations and activities on Friday begin at noon – sharp. Please arrive around 11:00 a.m. so that you can get signed up, get the cowdog info and eat a bite. Weather. It is to be sunny and mid to upper 80’s. 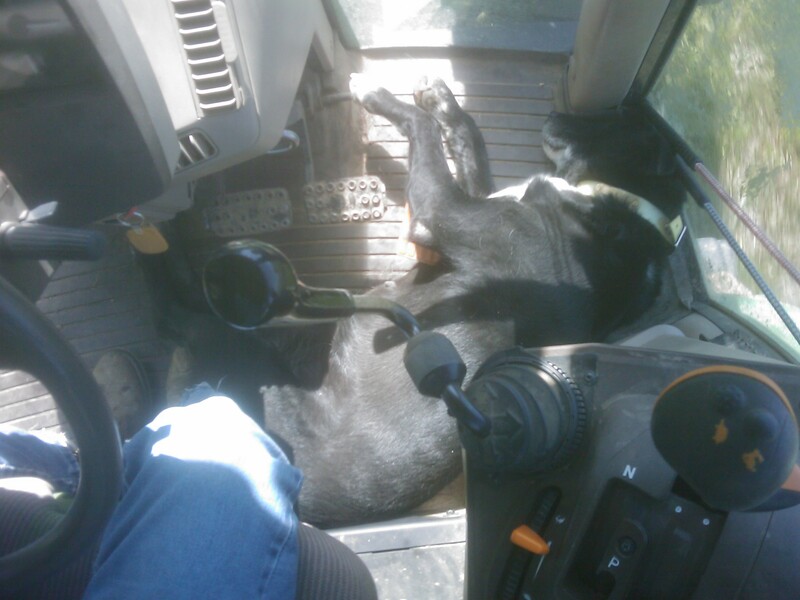 So it will be kinda hot for the cattle and cowdogs. It is also going to be dusty at the corrals and lots. Please bring whatever you need to tolerate sun and dust. 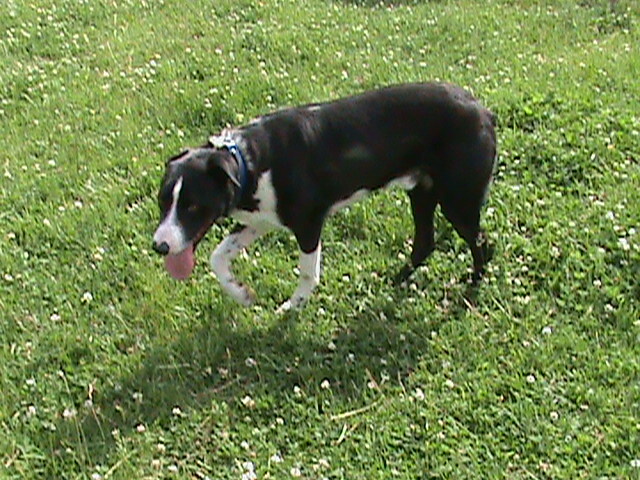 If you bring a dog or pet along, please keep it on a leash at all times. 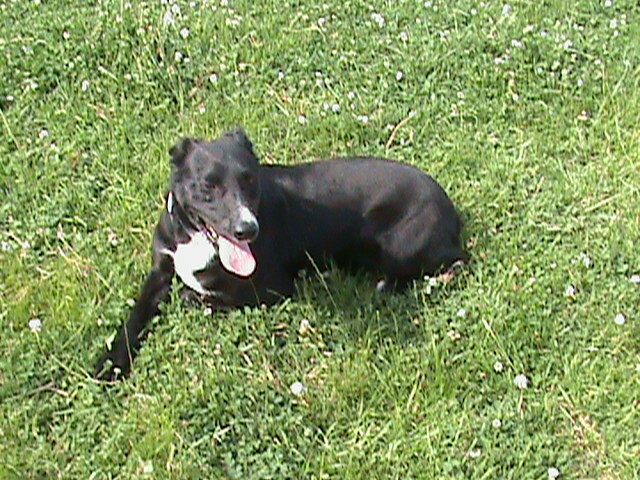 Well water will be available so feel free to bring a bucket or dish for your 4-legged companions/partners. GPS users. It is safer to enter 2522 State Rt. U, Lohman, MO. There are three or so Route U’s in Missouri so make sure you enter the highway numbers and Lohman/Russellville. If you get lost, just stop and ask where Tammy Goldammer lives and some local people may be able to help you. The place is N of Russellville or S of Centertown…Route U. My cell phone number is 573-659-5971. There are a lot of people that will not be able to make it to the sale on the 18th…haying, planting corn/soybeans, calving, AI’ing cows, high school graduations, etc. So some people will be phoning in for the sale or leaving bids. I have limited the advertising on the event to avoid growing the attendance to the point of it becoming hard for one person to handle. It is more fun to focus on quality versus quantity. Friday and Saturday are meant to be a fun time to watch cowdogs work and meet new friends with similar livestock and cowdog interests. #10 & #11 F/F Born 02/20/2012. 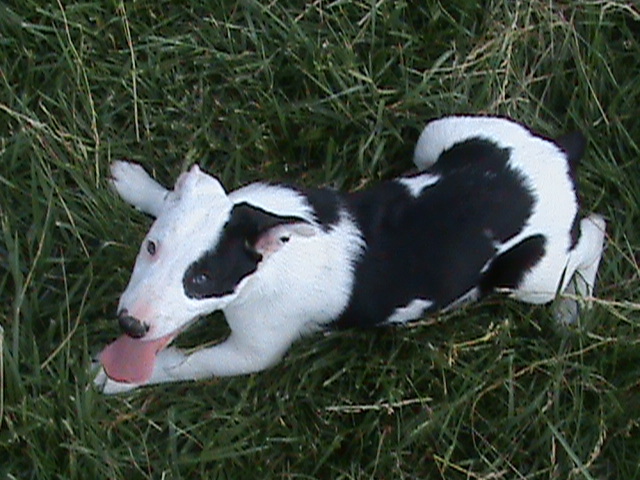 #12 M Littermate to #10, #11. 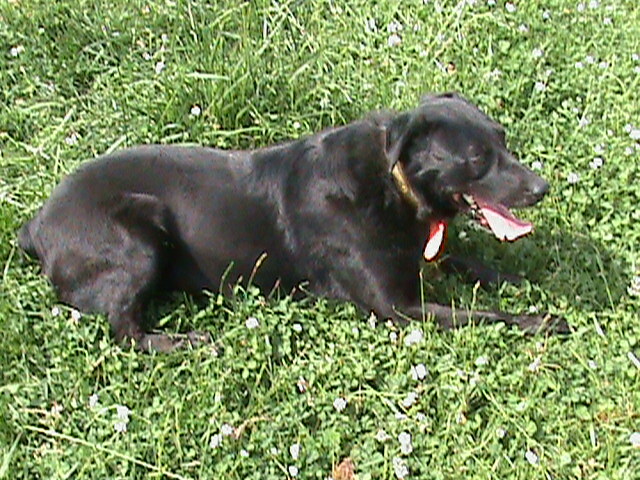 Parents to #10, #11, #12…are 50:50 head:heel, easy to handle without e-collars. 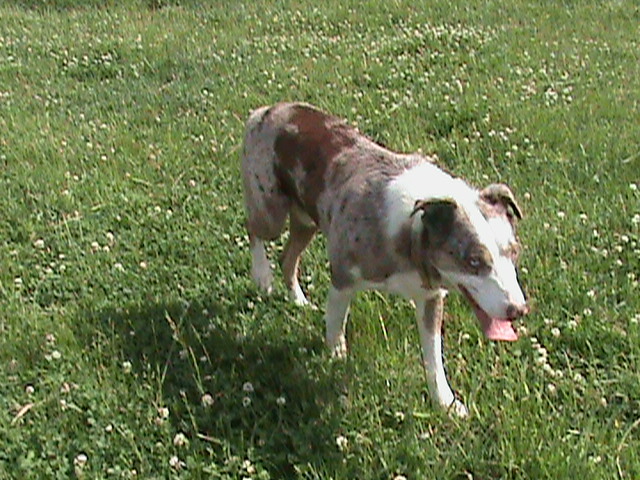 Update – May 14, 2012…see cowdog pup pictures below. UPDATE May 14, 2012. 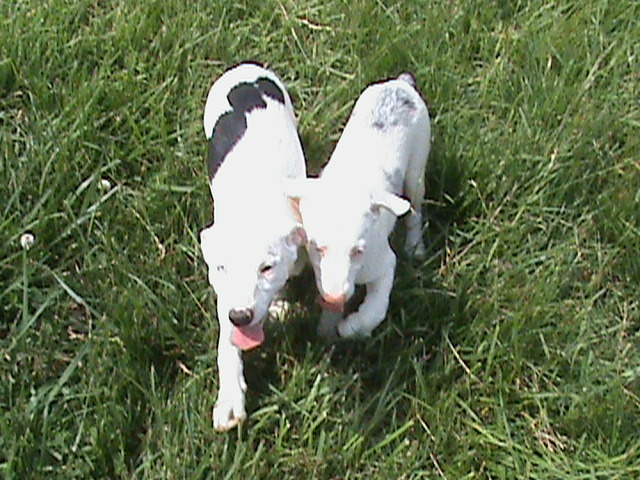 Three more pups for the cowdog sale on May 18th. #10, #11 (above) are females. 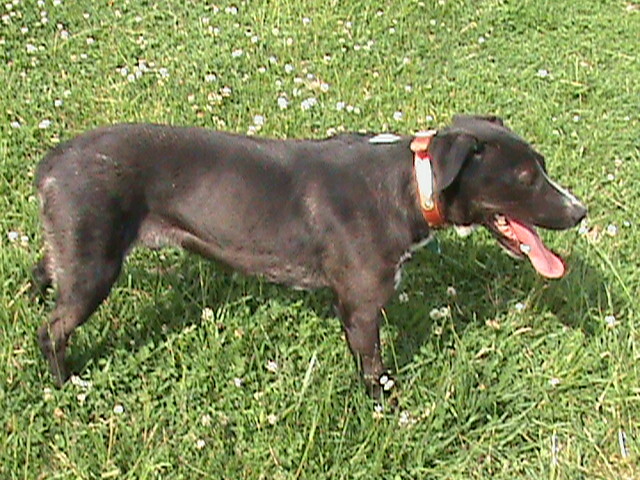 #12 (below) is a male.